As you lay in the Sindh Institute of Urology and Transplantation for your routine dialysis, we hear worrying news that you have been admitted in the ICU. Edhi sahib, I am very worried about your deteriorating health, as I assume every Pakistani is. I have been checking the news every hour to find out about your well-being. I wish you a speedy and a complete recovery. You are 86-years-old, we pray you live to be 186. 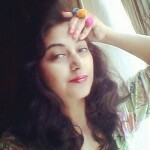 While, like every Pakistani, I am praying for you, a part of me is covertly but awfully scared. I am not known to be an emotionally weak person but thinking and writing about you brings tears to my eyes. My words may not be coherent today. What if you do not return from the hospital this time? Edhi sahib, before it is too late, I want to thank you for everything you have done for the Pakistani nation. Edhi sahib, thank you for showing us, that humanity is superior to all else. Your name is synonymous with charity and humanity. You did not shy away from begging on the streets of Karachi in the scorching heat to raise money; money that you later invested in buying the ‘poor man’s van’. This van travelled around the city to provide free, basic medical aid to those in need. Edhi sahib, people who know you from the 1950s, tell me that you slept outside your dispensary on the cement floor so that anyone in need for medical assistance, even in the wee hours of the night, was helped. Thank you for this! Edhi sahib, thank you for setting up free orphanages, nursing homes, shelters for homeless women, children and animals, vocational schools, legal aid departments, rehab centres for drug addicts and the mentally ill, and morgues all around the country. Edhi sahib, thank you for being there for humanity from the cradle to the grave. They tell me you have never taken a single cent or a salary for your services. 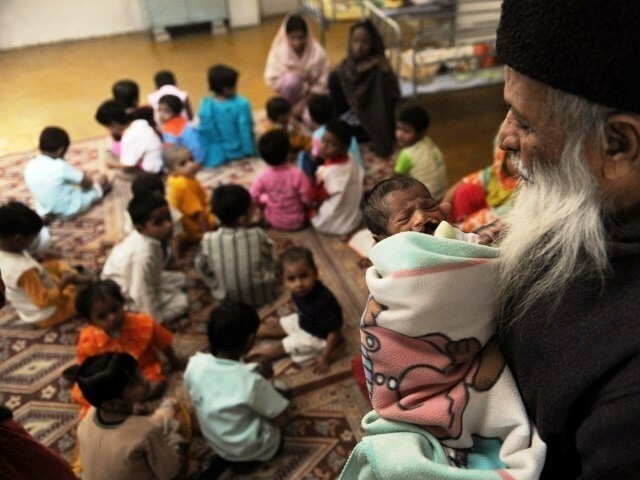 Edhi sahib, thank you for showing the world a different side of Pakistan, a softer more charitable side. Edhi sahib, a lot of people believe that the only life worth living is the life spent travelling between your house and the mosque but little do they realise, that God stresses more on Huqooqul Ibad (Rights of the people) than Huqooq-e-Allah (Rights towards Allah). You have taught us that throughout your life Edhi sahib and I thank you. I thank you for the unconditional love you extended towards not only humans but animals too, may they be alive or dead. Edhi sahib, we want you to know that we love you for your simplicity, sincerity and untiring hard work. You are an ‘Abba’ to countless children. Please accept this note of gratitude from all of us, Edhi sahib; you deserve much much more! Please get well soon and remember that you are in all our prayers. Baji Death is the ultimate reality. Edhi Sahib is reaching the age where ultimately due to natural causes his life will come to an end. Even if you will pray then what you expect how long will he be alive?. Every human being including me and you will reach the same stage sooner or later. You truly are one in a million. Pakistan hardly has people like you. Pakistan needs you. I never went to Pakistan, but I often hear about you. Hopefully, the beautiful deeds that you have done will become inspiration, not only for Pakistani people, but also for the people of the world. Get well soon, Edhi sahib. You are in my du’a. Sir Abdul Sattar Edhi, you are a living legend!! All good things must come to an end. But. we do not want to lose you Edhi Sahib. You are the true face of every Pakistani. You are a true legend. Your contributions to the humanity are far from imagination. Every one knows what mother Tresa did for the orphans but for me you stand tall from rest of the world. With all due respect to Edhi sahab and much appreciation for his selfless service, we must also now start thinking what will happen when Edhi sb is no longer there. He is 86 already.